1. The Best Stock Options Chatroom on Planet Earth. Period. Are you looking for actionable trade ideas in realtime during market hours? Then you really need to experience the power of our live chat. We're not selling silly email alerts. 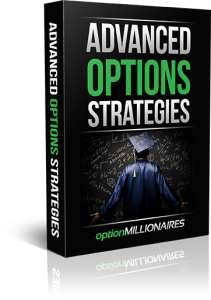 We create better stock options traders here. If you're into that, this is the place for you. Have you ever been intimidated by a snooty, rude financial community? That's not us. 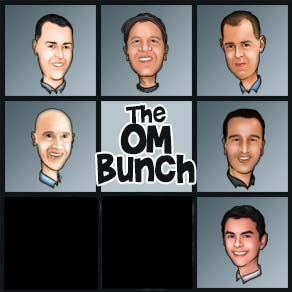 The people that comprise the OM community are helpful, skillful, and want you to make more winning trades. 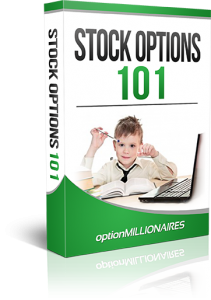 OM is a user-friendly, resource-rich website designed to do ONE thing really well: make you a better stock options trader. If you don't win, we don't win. Let's get down to business. Start a free-trial today and see if we're a fit for you. View a member's profile, add them as a friend, send a private message, or check out their achievements. Use the form below to find the member you are looking for. 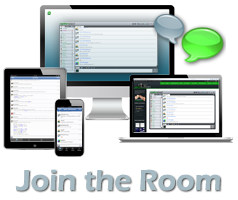 Our chatroom is where all of the action happens! 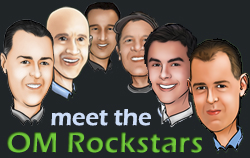 Listen to the Rockstars give play-by-plays of what they are trading and why while you interact with the others in the room. Create your own quick friends list for easy private messaging, and even post your own chat posts directly to twitter! Click on the chat bubble at the bottom of the screen for live support anytime. Use this email address for any pre-sale or technical support questions you might have. You can start a private chat with any other member within the chatroom. You can also create a friend list within the room so that you can access people more quickly. Type the name of the member you'd like to message below. Click their profile to send them a friend request or private message. President Trump delivered the State of the Union address to Congress last night. Trump said the administration is seeking fair trade, cheaper prescription drug prices, and an improvement in the nation's infrastructure. Trump also disclosed that he plans to meet with North Korean leader Kim Jong Un on February 27-28 in Vietnam. Illegal immigration was a major topic as expected, with Trump announcing that he's ordered an additional 3,750 troops to the southern border. "Congress has 10 days left to pass a bill that will fund our government, protect our homeland, and secure our Southern Border," he stated without directly threatening another shutdown. No great surprise, but Trump also maintained that the unfair trade practices of China must end. While maintaining his prior positions, there didn't appear to be any ratcheting up of the trade rhetoric. U.S. stock futures were up slightly going into the address and barely budged during the speech. Asian markets registered gains today after President Trump's State of the Union address didn't contain any surprises. 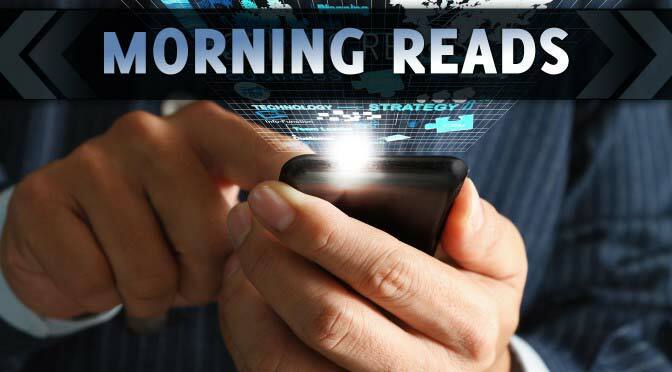 Japan's Nikkei increased 0.14%and India's Nifty 50 rose 1.17%, while Australia's ASX 200 finished 0.5% higher after Reserve Bank of Australia Governor Philip Lowe suggested a more "balanced" outlook for interest rates. Markets in China and other parts of Southeast Asia remain closed for the Chinese New Year. Meanwhile, the European stocks have started the day off in negative territory, with the Stoxx 600 Index posting a 0.1% loss at midday. U.S. stock futures are pointing slightly lower, while today's earnings lineup includes Chipotle (NYSE:CMG), GoPro (NASDAQ:GPRO), FireEye (NASDAQ:FEYE), Spotify (NYSE:SPOT), MetLife (NYSE:MET) and General Motors (NYSE:GM). The Trump administration is reportedly sending U.S. Trade Representative Robert Lighthizer and Treasury Secretary Steven Mnuchin to Beijing early next week to continue trade talks. A meeting between the two officials with their Chinese counterparts is seen as a step toward bringing President Trump and Chinese President Xi Jinping together to close a deal. The trade war truce between the U.S. and China expires on March 1. Oil traders have plenty to digest as the market continues to shift under their feet. Cargo-tracking firm Kpler reported crude shipments to the U.S. from OPEC and its partners fell to a five-year low of 1.41M barrels a day in January. The firm noted shrinking Iraqi imports and deep output cuts by Saudi Arabia contributed to the decline. Meanwhile, the American Petroleum Institute is reported to have said that a U.S. crude supply build of 2.51M barrels of oil is expected for the week ending February 1. The weekly U.S. crude stock build would be the third consecutive if EIA data confirms it later today. In early action, WTI crude oil futures -1.36% to $52.93/bbl and Brent crude -1.34% to $61.15/bbl. The international trade numbers are due out today, with economists projecting the U.S. trade balance for November will be reported at -$53.9B. The mark would be a slight improvement from the -$55.5B tally from October, but considerably worse than the average over the last five years. Keep an eye on the U.S.-China merchandise trade gap after it widened to a record level in the previous report. Fedspeak watch: Federal Reserve Chairman Jerome Powell is hosting a town hall meeting today with educators from across the U.S. and Federal Reserve Board Vice Chairman Randal Quarles is scheduled to deliver a speech about the Federal Reserve Stress Testing Conference at the Council for Economic Education Vantage Point Reception in New York City. Quarles will also take some Q&A. The two Fed officials step up to the microphone with the CME FedWatch Tool currently showing a 3.9% rate hike probability for March through April and 9% odds for a rate hike in June through October. Strong results at ABC TV and the company's reliable theme parks business lifted Walt Disney (NYSE:DIS) to top consensus in its first-quarter earnings, its first under a new reporting structure made to shift focus toward its direct-to-consumer future bets. TV operations saw broad gains and parks reflected higher occupancy and higher spending; studio revenues were down 27% but are typically highly variable, and faced tough comps without a Star Warsrelease in the quarter. On its call, the company said streaming ESPN Plus had signed up 2M paying subscribers and operating income would take a $150M licensing hit as Disney shifted content to its own platforms. The deep freeze in the U.S. last week exposed some of the limitations of electric vehicles. Owners of Tesla (NASDAQ:TSLA), Nissan (OTCPK:NSANY) and Jaguar (NYSE:TTM) EVs reported a loss of range of as much as 30% amid the recording-setting low temperatures associated with the Polar Vortex. The problem is that lithium-ion batteries, in general, are most efficient at about 70 degrees. Still, there is optimism that the next generation of EV batteries will dramatically improve performance, although "solid state" batteries aren't expected to be mass produced until 2022 at the earliest. There is a change in the C-suite at Apple (NASDAQ:AAPL) with retail chief Angela Ahrendts due to leave in April after about five years on the job. Ahrendts came to Apple from Burberry and redesigned the tech giant's retail spaces to have open floor plans with a more casual environment for the customer service representatives. Outside of Apple, she has been included in lists of potential successors to CEO Tim Cook. VP of People Deirdre O'Brien will step into the high-profile retail role at Apple following the departure of Ahrendts. Wall Street analysts seem relatively unconcerned about the development. "A major focus of Apple with O'Brien now running the show will be catalyzing demand in China with the store experience a major factor in this region as well as other regions with consumers getting the 'Apple experience' when they look to test drive new technology in the store, a key ingredient in Cupertino's recipe for success," stated Wedbush analyst Dan Ives. Heavy cuts to guidance pushed shares of Electronic Arts (NASDAQ:EA) down 17.5% by the end of an after-hours session Tuesday that saw volume higher than the stock's full-day averages. The company swung to a gain but fell short on bookings and adjusted profit in its Q3 report (a "difficult quarter," its CEO said) amid hot competition from the usual suspects as well as Epic Games phenomenon Fortnite. It slashed Q4 bookings guidance to $1.17B (vs. consensus $1.75B). Also moving lower late Tuesday were big-publisher rivals Activision Blizzard (ATVI, down 3% postmarket) and Take-Two (TTWO, fell as much as 2.9% postmarket but rallied back to end flat). The expectation in Macau is that the Chinese New Year will see visitor arrivals increase 8% to 9% this year. The opening of the Hong Kong-Zhuhai-Macau Bridge is seen as a major factor in the traffic boost to the gambling mecca. Hotel operators in the region hope to at least match last year's occupancy rate of 95% across all properties and 96% for five-star resorts. 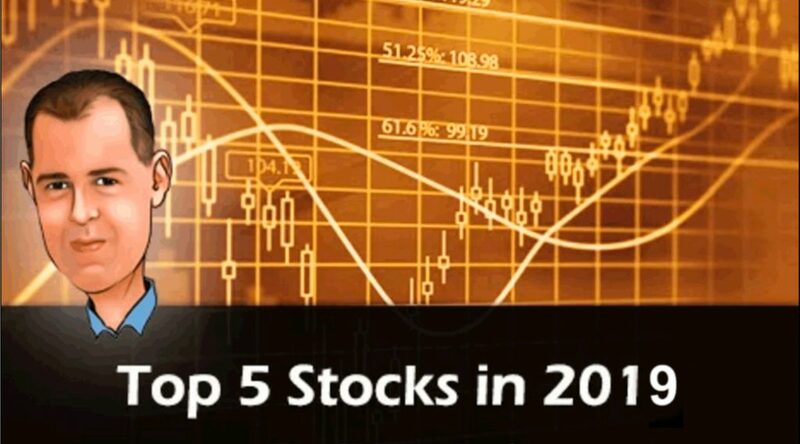 After seeing some bumps in 2018, casino owners Melco Resorts & Entertainment (NASDAQ:MLCO), Wynn Resorts (NASDAQ:WYNN), MGM Resorts (NYSE:MGM) and Las Vegas Sands (NYSE:LVS) hope the holiday boosts EBITDA tallies. General Motors is due to report earnings this morning, with analysts expecting the automaker to report revenue of $36B and EPS of $1.24. The earnings release arrives with sentiment turning a bit more positive on the Detroit automaker. "We continue to believe that GM's core business is well managed, while the company continues to take decisive action on addressing underperforming segments (GME sale, the potential future exit of Korea), which is encouraging," previews a Bank of America Merrill Lynch analyst. Listen for updates during GM's conference call on the progress of the Cruise Automation autonomous driving program. Shares of GM are up 17% YTD. Disney (DIS) +2% AH as parks, networks lead to Q1 beat. Snap (NYSE:SNAP) +23% AH after record revenue tops expectations. Skyworks Solutions (NASDAQ:SWKS) +5% AH on in-line Q1, $2B buyback. Anadarko (NYSE:APC) -2% AH after Q4 earnings miss; reaffirms 2019 capex program. Digital Realty (NYSE:DLR) -1% AH after topping FFO forecasts, reiterating 2019 guidance. Electronic Arts (EA) -16% AH after Q3 miss, trimmed guidance. Hi-Crush Partners (NYSE:HCLP) +3.8% AH after Q4 results not as bad as expected. Vertex Pharmaceuticals (NASDAQ:VRTX) +2.9% AH on strong Q4 beat. Tableau (NYSE:DATA) -4% AH despite Q4 beats. Genworth (NYSE:GNW) -1.7% AH after posting Q4 adjusted operating loss. Microchip (NASDAQ:MCHP) +4.1% AH on Q3 beats, mixed guidance. Paycom (NYSE:PAYC) +8.2% AH on Q4 beats, upside guide. Spirit Airlines (NASDAQ:SAVE) -3.1% AH after Q1 unit revenue forecast disappoints. Viavi (NASDAQ:VIAV) +10% AH as strong revenues lead to Q2 beat. In Asia, Japan +0.14%. Hong Kong +0.21%. China closed. India +1.17%. In Europe, at midday, London -0.18%. Paris -0.14%. Frankfurt -0.35%. Futures at 5:30, Dow -0.19%. S&P -0.17%. Nasdaq -0.17%. Crude -1.36%to $52.93. Gold -0.09% to $1,318. Bitcoin -2% to $3,440. Ten-year Treasury Yield -2 bps to 2.684%. 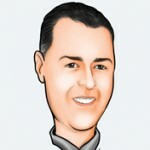 Known to most as Uranium Pinto Beans, Jason has more than 15 years under his belt of trading stocks, options and currencies. His expertise primarily lies in chart analysis, and he has a strong eye for undervalued stock. Because he’s got the ability to identify great risk/reward trades he usually enjoys taking the path less traveled and reaping the benefits from the adventure. 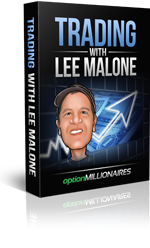 He is a co-founder of Option Millionaires, and he is best known for his weekly webinars with Scott, as well as his high level training webinars and charts found in the forums. 12,975% FIVE OF THE LAST SIX WEEKS? 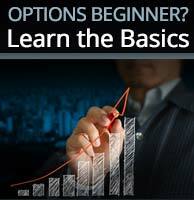 The best stock options traders meet here daily. 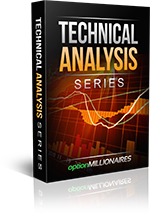 FREE TRIAL to interact in stock forums, stock trading chatroom, and the stock options blog! Been with them for over a year, great people and education value. Highly diversified community with many different strategies. Doubled my very small acct. this week on two trades, INTC and CME. Thanks guys and will be a paying member after my trial expires as long as I am working 2nd shift. Really incredible what you guys have put together here. Awesome week everybody, DIS, ISRG, TWTR, SSYS. All money making plays, I left a lot on the table but had a great week mainly thanks to the room! Great job today everyone!! Great job JB, UPB love options!! love this place..been here since September...never leaving! !